Turn once again to Matthew 18. We will complete our study of this section of Scripture today that recounts Jesus’ correction of His disciples for their proud arguing about who was the greatest in the kingdom of heaven. Jesus had a child come and stand with Him as an illustration of the humility and trust that is necessary for someone to even enter the kingdom. Greatness in God’s kingdom is measured in humility. (See: Who’s the Greatest?) With the child standing next to Him as a practical reminder of this truth, Jesus then expanded the lesson about the kingdom of heaven. First, Jesus identifies with those who are children of God so that to receive one of them is to receive Him (vs. 5). Second, those who belong to God are precious to Him and His wrath will be upon those that would cause one of them to stumble (vs. 6-7). This is so serious that Jesus commands them to take radical measures to get rid of anything that would cause them to stumble lest they become a stumbling block to others (vs. 8-9). (See: God’s Care for His Children, Part 1) Third, God’s children are so precious to Him that He has assigned angels who stand ready to carry out His will concerning them, so do not look down on them or treat them with contempt (vs. 10). Fourth, using the analogy of a shepherd, God will go after His sheep if they stray because it is not His will for any of them to perish (vs. 12-14). (See: God’s Care for His Children, Part 2) Fifth, God uses His church to correct straying sheep and bring them back into the fold (vs. 15-17). (See: God’s Correction of His Children) This morning’s text concerns a question Peter asks in response to these teachings of Jesus. This passage makes it very clear that sin is a serious matter to God and so there must be serious measures taken to deal with it. On a personal level it means obeying Jesus’ commands and taking radical action concerning the things that tempt you regardless of whether it is an enticement to the desires of your flesh, your eyes or your pride (1 John 2:15-17). Make no provision for them (Romans 13:14). Avoid them before they tempt you (Proverbs 4:14-15). Flee from them when they do tempt you (1 Timothy 6:11). If you are a Christian, you are to consider yourself to be dead to sin and alive to righteousness (Colossians 3:5-10). If you are a Christian, then you are one of God’s children who has been adopted into His family and placed into His church. You have responsibilities to other believers expressed in the many commands on how you are to treat and interact with them. The tragedy is that it would seem that most professing Christians only obey the commands they like and often even redefine those to make them acceptable to their desires. That would explain why there are so few churches that will carry out the steps of church discipline in Matthew 18:15-17 which we examined last week. There are some conditions that must exist within a congregation in order for church discipline to be carried out properly. First, you must love God and His word enough to understand the basics about His attributes and character as well as have at least a general knowledge of His commands so that you know right from wrong. Second, you must be concerned about the glory of God enough to want to live a holy life that will bring praise and not shame to His name. Third, you must have a strong enough desire to see God’s will done that you will pursue it even if it is personally difficult. Fourth, you must have enough humility to confess your sins and genuinely repent from them as they become known to you. Fifth, you must love other believers enough to carry out the “one another” commands with them. This includes using your spiritual gifts within the body for the good of the whole body. Sixth, you must care about other believers enough to pursue what is in their best interests according to godliness even if it makes you uncomfortable or it will be difficult to do. Seventh, these previous elements must be strong enough in your life that you will reflect God by speaking the truth in love in pointing out sin, correcting error and getting involved to bear the burdens of those who stumble. Finally, you must be slow to take personal offense and quick to forgive and reconcile with those that repent. No wonder Paul says in Galatians 6:1 that it those who are spiritually mature that need to take the lead in restoring a brother that stumbles. If you love God and His people in this manner to admonish and correct, I can guarantee you will get hurt. No matter how kind and gentle you may be, there will be those that will reject you, and you can also expect to even be slandered by some though they claim to be Christians. But remember, that is why the steps of church discipline escalate. When you reach the last step, it is a declaration by the church that the person in sin may not be a true Christian. By way of quick review, church discipline begins by going in private to a brother who is caught in a sin and seeking to restore them back into a proper walk with the Lord. If they listen and repent, you have won them. If they do not, then you take one or two others with you so that every word may be established. It would be wise to include a church leader if possible to ensure there is someone present that has already demonstrated spiritual maturity. If they listen and repent, then you have won them back, but if they do not, then the matter is brought up before the church so that everyone can get involved. As the church prays, some will also get personally involved to try to win them back. If the person listens and repents, then reconciliation takes place and they are restored. If they do not listen, then they are to be treated as a Gentile and tax-gatherer. Such hardness of heart is an indication that they may not be saved and so they are treated as such. That is what it means to treat them as a Gentile. You proclaim the gospel to them. They are sinners condemned before a just and holy God, but that same God loves them and has provided a way for forgiveness and justification through Jesus Christ so that they might walk in holiness with God. Since their unrepentant sin prevents them from being in proper fellowship with the Lord, then there is also no longer a basis for personal fellowship with them. That is what it means to treat them as a tax-gatherer. Your socialization with them is now limited only to reminding them of the gospel message. God resists the proud, but He warmly forgives and accepts those who are humble and seek Him. The desire at every step in church discipline when done properly is to bring about repentance and restoration. Even when the final step is reached and other considerations such as keeping the church from sin and identifying the disobedient take priority, the desire and wish is still for there to be repentance so that forgiveness and restoration can take place. These teachings spark a question in Peter’s mind about the extent of forgiveness. Look at Matthew 18:21. Peter is to be commended for seeking to personalize what Jesus has taught, and he now wants to know how far his responsibility in these things would go. Please note that Peter’s question clearly demonstrates that he understood that discipline in the church is about being loving and forgiving and not about being vindictive in any manner. Peter has no question or comment about what sins might be overlooked and what sins would require discipline. He understood that any sin could end up there, but what Peter wanted to know was how far this idea about restoring his brother would go. What is the reasonable limit in forgiving someone who sins against you? Peter would have thought he was being very generous with his idea about forgiving his brother up to seven times for the same offense. Rabbinic tradition taught that you only should forgive three times. They taught that at the fourth offense you should not forgive. They erroneously thought the limit of God’s forgiveness was three times and therefore man should limit his forgiveness the same way. Peter had doubled the Rabbinic tradition and added another for good measure. Peter may also have had in mind that the number seven was closely linked in the Old Testament with the idea of the covenant and of forgiveness. Seven would then be the perfect number of times to forgive. Peter thought he was being very generous in being willing to forgive up to seven times, and he was generous compared to the teaching of the Rabbis that he had been brought up under. But Peter’s mind was still being limited by the Law as interpreted and twisted by the traditions. Peter was not thinking in terms of God’s immeasurable and unlimited character. Jesus’ response to Peter is based on God’s grace, not on man’s Law. “Jesus said to him, ‘I do not say to you, up to seven times, but up to seventy times seven.’” Jesus was not extending the amount of forgiveness to a fixed number of 490 times, but simply picked on Peter’s number increased ten-fold and multiplied by itself to demonstrate how much greater magnitude of forgiveness should be demonstrated. Jesus’ point is that we should not limit our forgiveness of one another. We should not keep count. If you were going to forgive just seven times, you could keep count of the number of offenses, but how could you keep count of 490 offenses? Jesus may also have used seven times seventy as a contrast to man’s quest for revenge. In Genesis 4:24 Lamech made the arrogant boast that “if Cain is avenged sevenfold, then Lamech seventy-seven fold.” The character of sinful man is opposite that of God. Man seeks after limitless vengeance while God gives limitless grace. The parable that Jesus tells in Matthew 18:23-34 demonstrates both God’s grace to man and man’s responsibility to follow God’s example. This parable is a story that illustrates a truth about the kingdom of heaven. As with any parable, it has a main point and several of the key figures are analogous to reality, but as with any parable, not every item has a parallel in reality. In this parable the “certain king” is representative of God and the “slaves” represent mankind for all men and women, including those in rebellion, are God’s slaves. The king in the parable wishes to settle accounts with his slaves. This is not referring to a final account, but just one of the periodic times when the king would bring his slaves before them so that whatever is owed by the slave to the king could be paid up. This is a forgiving king. We are not told how, but some how this slave managed to incur an unbelievable debt. The number “ten-thousand” was the largest number in the Greek language and because of that it was often used figuratively for meaning “countless.” It is used that way in 1 Corinthians 4:15 where it is translated as “countless” and in Revelation 5:11 where the number of angels is translated as being “myriads” (a transliteration of the term). If the term is used in a similar manner here, then this slave has a “countless” debt, but even if this the actual debt, the amount is staggering. How much is ten thousand talents? Consider the following. The yearly tribute at that time to Rome from Idumea, Judea, Samaria and Galilee (what would now be all of Israel, and Lebanon and part of Jordan) was only about 900 talents. This sum is equal to more than 11 years worth of taxation for the whole area. Solomon at the peak of his power only collected 666 talents yearly from those paying tribute to him. Or consider this: 1 denarius was the pay for one day’s work. 1 Talent equaled 6,000 denarius or 6,000 days work. 10,000 talents equaled 60 million days work. That is a figure that is beyond repayment. The king had no hope of recovering the debt, but he would recover what he could, so he commanded that the man, his wife and children all be sold into slavery as well as everything the man owned as repayment of the debt. This was a just sentence. But the slave humbled himself before the king by falling down prostrate before him and begging for more time with a promise to repay the entire debt. There is nothing to indicate the slave would be able to somehow keep the promise, but the king was moved with compassion and set him free and released him from the obligation of the debt. This is a wonderful analogy of what God has done for us. There are times when God calls us into account by having the Holy Spirit convict us of our sins and debt to Him. What each of us owes God is far beyond any individual’s ability to pay. Sin alone requires your life for the soul that sins must die (Ezekiel 18:4). Death is the just wage for every sin (Romans 3:23). This does not even begin to take into account God’s goodness in giving us life and providing for our needs. Your debt to God is incalculable. God would be just to send each and every person to Hell as a partial payment for debt owed to Him, yet He is moved with compassion when a person humbly comes before Him and begs for His mercy. The Father sent the only begotten Son to die on the cross as the payment for sin so that He could grant mercy and still maintain His righteousness. God is just, so based on what Jesus has done, God grants forgiveness to the humble sinner who begs for His mercy – Blessed are the poor in spirit, for theirs is the kingdom of heaven. Blessed are those who mourn, for they shall be comforted (Matthew 5:3-4). In this parable, the slave was seemingly oblivious to the debt that he had incurred until there was an accounting, and then he understood the severity of the consequences that were about to fall upon him. That is the way it is with most people as they live life without much thought to the debt they are building up until the Holy Spirit convicts them of their sin and they get a clear glimpse of the consequences that are about to fall upon them. This often happens when there is a crisis beyond their control. At that point, most people try to make a bargain with God and promise to change their ways or perform some specific deed. Don’t come to God trying to bargain with Him. Your debt is beyond your ability to repay, and you have nothing to bargain with. What could you possibly give God that He does not already have or needs? God resists the proud, but His grace is extended to those that come to Him in humility asking for His forgiveness. It is wonderful to know that God knows the intent of your heart even when your own foolishness gets in the way. If the story ended at verse 27, there would have been given a wonderful understanding of God’s forgiveness, but Jesus’ purpose for the parable was to answer Peter’s question and show him how he should forgive. Matthew 18:28-29 adds a new dimension to the story. The implication here was that soon after this man left the king’s presence, he went to this other slave to get from him what was owed. The treatment he gave to his fellow slave was rough, but within the manner that debtors could be treated in that society. Some ancient histories reveal that it was not uncommon for a creditor to choke a debtor until blood ran from his nose. But even if that was common in that society, it did not make it right. God, not society, sets the standards for right and wrong, good and evil. After receiving such mercy from the king, you would think that the first slave would have been compassionate toward the second slave, and even more so when he said the exact same thing he had said only a short time earlier before the king, “Have patience with me and I will repay you.” Add to this the fact that a hundred denarii, a hundred days wages, was a lot, but an amount that could be re-payed. The first slave was impatient, cruel, and rash in his actions. Debtor prisons have always been a stupid idea. If you really want your money back, you need to have the guy working so that he can earn the money to give back to you. If you put him in prison, he becomes a cost to the state, and even if paid a wage there, it is minimal compared to what can be earned outside of prison. Being unforgiving is not only morally wrong, but it also leads to cruel and irrational behavior. If the parable ended at verse 30, the twist in the story line of the parable would give an accurate depiction of the sinfulness of man, but it would not answer Peter’s question. He might even think he was being merciful in being willing to forgive seven times compared to the first slave that did not forgive even once. Jesus continues the parable in verses 31-34 to reveal the final consequences of being unforgiving. Eventually, word got back to the king about the behavior of this wicked slave and he dealt with him according to the way that he had treated his fellow slave. Considering that this slave had been forgiven an unbelievable debt, he should have followed the example of his lord’s mercy and forgiven the puny debt of his fellow slave. Jesus applies the lesson of this parable to Peter – and to us – in verse 35. “So shall My heavenly Father also do to you, if each of you does not forgive his brother from your heart.” If that sounds familiar, it is because the same principle was taught by Jesus in the Sermon on the Mount in Matthew 6:14-15,“For if you forgive others for their transgressions, your heavenly Father will also forgive you. 15 “But if you do not forgive others, then your Father will not forgive your transgressions. It would be nice to think that this wicked slave could only have been someone that was not a Christian, because Christians would not do such a thing. Believers in the Lord Jesus Christ should not carry such attitudes or behave in such cruel ways, but we find in the Bible that Christians have and do act this way. The church in Corinth was filled with such problems caused by a lack of charity and mercy. Paul had to rebuke this church in 1 Corinthians 6:1-8 for bringing lawsuits against each other rather than working it out among themselves or having the church leaders render the judgments for them. 1 Corinthians 11:20-22 reveals that the rich were selfish and without compassion for the poor. When their church gathered to celebrate the Lord’s Supper, which was a feast followed by communion – the remembrance of Jesus’ death for our sins on the cross – the rich would not share with the poor leaving them with little or nothing. Some of the rich would be gluttonous and drunk on wine while the poor were left hungry. God chastened them with weakness, sickness and some even died. Colossians 3:12-13 add, So, as those who have been chosen of God, holy and beloved, put on a heart of compassion, kindness, humility, gentleness and patience; 13 bearing with one another, and forgiving each other, whoever has a complaint against anyone; just as the Lord forgave you, so also should you.” That is the point of the parable. God has forgiven you an immense debt, one which you have no possibility of repaying yourself. It is only right then to follow His example and forgive those who transgress against you, for those transgressions are minute by comparison to your sins against God. Jesus taught us in His example of prayer in Matthew 5 to pray, “And forgive us our debts, as we also have forgiven our debtors.” Do you pray in that manner and mean it? Jesus also said, “Blessed are the merciful, for they shall receive mercy.” You cannot earn mercy, but those who receive mercy must demonstrate it by showing it to others. James 2:13 states, “Judgment will be merciless to the one who has shown no mercy.” If you really want mercy for your repeated sins, then you must be merciful to those who offend you . This is not possible in your own flesh, but only as you walk in the Spirit and bear His fruit – love, joy, peace, patience, kindness, goodness, faithfulness, gentleness and self-control (Galatians 5:22-23). The context of Peter’s question is in how to deal with sin. Sin is a serious issue and you need to be serious in avoiding and fleeing from it yourself as well as causing anyone else to stumble. When it does occur, God will chasten us because He loves us as a Father. Church discipline is just one method of correction God uses, but it is the method by which those who are part of His family help each other battle sin. When you stumble in sin, you need someone that will admonish you and help you get back up and walk properly with the Lord again, and you need to do the same for your brothers and sisters in Christ. This is always to be done with a humble attitude which seeks to reconcile and forgive, not just seven times, but without limit just as God does with us. That brings up a final point. We are to forgive one another just as God in Christ has forgiven us (Ephesians 4:32). He paid the price Himself and unilaterally offers it to sinners. However, forgiveness offered is not forgiveness received unless the sinner repents and seeks it. Confession is necessary (1 John 1:9). Out of love you can choose to not hold into account a wrong suffered, but the guilt of the sinner will not allow reconciliation until he humbles himself to turn from the sin and receive the forgiveness offered. Are you reconciled with God? His forgiveness is offered to you in Jesus Christ? Have you repented and turned in faith to Him to receive it? Are you a Christian but your relationship with the Lord is strained? Confess your sins. He is faithful and just to forgive and cleanse you. Are there people you need to forgive but you have not? 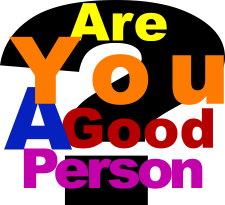 Are there people you need to ask for forgiveness but have not? Today is the day to humble yourself and get things right. Do not wait until tomorrow. Seek forgiveness. Offer forgiveness. Be a reflection of Jesus. Sin is a serious matter to God and so there must be serious ______________taken to deal with it. The slave incurred a “myriad” / _________________amount of debt (1 Cor. 4:15, Rev. 5:11, etc.). Parents, you are responsible to apply God’s Word to your children’s lives. Here is some help. Young Children – draw a picture about something you hear during the sermon. Explain your picture(s) to your parents at lunch. Older Children – Do one or more of the following: 1) Write down all the verses mentioned in the sermon and look them up later. 2) Count how many times the word “forgive” is used. Talk with your parents about what it means to forgive and how to do it. Questions to consider in discussing the sermon. What prompts Peter’s question in Matthew 18:21? Set the context. What conditions are necessary for church discipline to be carried out properly? What are the steps of church discipline in Matthew 18:15-17? What motivates it? What causes it to escalate? Why would Peter think it was commendable to forgive up to seven times? Is Jesus response of seventy times seven a fixed number of times to forgive? Why or why not? Whom does the king in the parable represent? The slaves? How much does the slave owe the king? Figuratively or equivalent actual amount. Why did the king change his response? What is the debt that sinners owe God? On what basis does God offer forgiveness to sinners? What must the sinner do to receive it? What was the king’s response the first slave’s mercilessness? What is the lesson of the parable? How many times should you forgive others? On what basis should you forgive others? What will happen if you are not merciful? How did God forgive us in Christ? What is necessary to forgiveness to be received? Are you reconciled with God? If not, why not? Are you reconciled with other people? What role do you need to fulfill in seeking reconciliation? When will you do it?